BAILA is an acronym for Black Artists in Los Angeles. We are an organized group of visual artists and friends who function pedagogically and professionally as a family. BAILA exists as a perpetual social practice art project. It performs as an educational networking art movement. The BAILA movement is orchestrated to illuminate the work and advance the careers of Black visual artists in the L.A. area. The work involves research, the facilitating of roundtables between BAILA and mainstream arts organizations, the curating of BAILA exhibitions, the hosting of art critiques and studio visits, the mentoring of BAILA adults and youth, and the archiving and publishing of BAILA happenings. BAILA’s ultimate goal is to serve as a catalyst in the erasure of the gross marginalization of Black visual artists across the nation. BAILA is not exclusive to Black people. It is inclusive of any person who has an interest in Black art, regardless of their race, or whose work explores Black culture. There are therefore members of BAILA who are not Black. BAILA grew out of HABLA: Harvesting Asian Black Latino Artists. HABLA was a five-year-long social practice project by visual artist Lili Bernard. Its focus was to create platforms for the works of underrepresented artists. Lili ran HABLA from January 2007 to December 2011 at her Chinatown, Los Angeles art studio which she kept as a public space. HABLA involved the mentoring of youth and adults in the arts, the hosting of an HABLA adult artist collaborative, regular group exhibitions, art workshops and crits, book signings and readings, and performances in art, theater, music, dance and poetry. During the five-year-long HABLA project, it became apparent that Black artists are by far the most marginalized and underrepresented group of artists. It was therefore that, in the Fall of 2011, Lili founded BAILA. 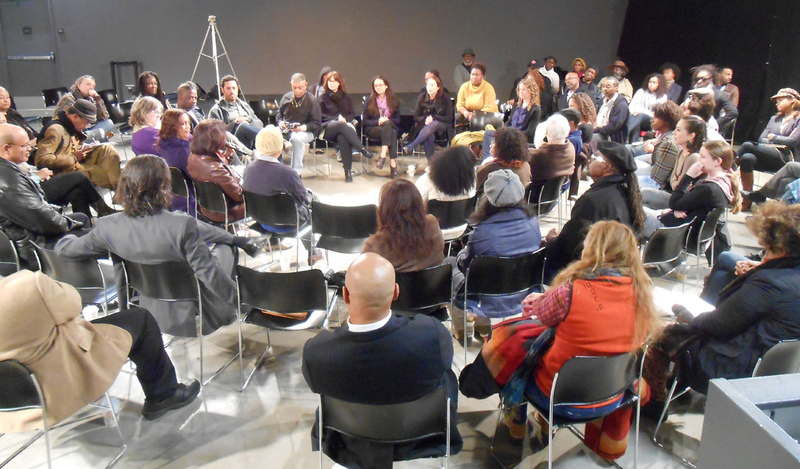 BAILA Core is a collaborative, cooperative coming-together of community-minded artists and arts activists for the purpose of the focusing, empowerming, structuring, positioning and growth of BAILA (Black Artists in Los Angeles). BAILA Core members are carefully chosen for their focus, drive, achievement, individual talents, commitment, vision and communication skills. BIOS OF BAILA CORE MEMBERS in last name alphabetical order. LILI BERNARD, BAILA Founder. www.LiliBernard.com. Lili Bernard is a Cuban-born, Los Angeles-based visual artist, actor and community organizer. She has exhibited her artwork in numerous galleries and institutions. Her work examines issues of trauma born of sexism and racism, past and present. As an actress and member of SAG/AFTRA, Lili has performed extensively in theatre and TV. A published writer, Lili blogs for the Huffington Post. She has garnered critical acclaim as an independent curator and longtime arts activist. Lili first created and ran HABLA (Harvesring Asian, Black, Latino Artists) in order to provide plantforms for underrepresented artists in Los Angeles. Realizing that Black artists were the most marginalized of the group, Lili then founded and organized BAILA (Black Artists in Los Angeles) in order to build bridges of access for Black artists into the mainstream art world. Lili received her MFA in Public Practice from Otis College of Art and Design, in 2014, under the tutelage of Department Head Suzanne Lacy and professors Charles Gaines, Ulysses Jenkins and Andrea Bowers, among others. She is married to civil rights attorney, Franklin L. Ferguson, Jr., and gave birth to six children in a ten year span: Rafael, Isaiah, Elias, Uriel, Joshua and Zion. BEN CALDWELL, Owner Kaos Network: Ben Caldwell runs Kaos Network a multimedia training & arts center. Started in 1990 as a meeting place for creative adults and young people, his goal today is for kids and adults to learn and use the new media technology. He worked with the Brockman Gallery in the 70’s while he was a UCLA film student. He and fellow student Charles Burnett, director of “To Sleep with Anger,” would “come to Leimert Park and say, ‘Why don’t we do what we’re doing in the black community, not run from it? Figure out what the black community wants, and do it. '” Ben says, “It’s important for me to stay here in the community…it helps to establish consistency in a community that has a lack of consistency.” Kaos Network is probably most well-known for Thursday night’s “Project Blowed.” Projected Blowed is a hip hop and rap open mike night that gave birth to rappers and rap groups such as Aceyalone, Medusa, Busdriver, Freestyle Fellowship, and Jurassic Five, and continues to provide an atmosphere where up-and-coming rappers can hone their skills. CASTILLO, www.CastilloFineArt.com. Jane Castillo was born in Los Angeles, California to a Colombian immigrant family. Exposed to two cultures simultaneously, her interest in family and cultural history was sparked. Her lineage also includes that of Pilipino, African, Spanish, and Indigenous Colombian which has had a profound influence on her work as an active artist in her community. Professionally, she goes by her last name Castillo. By doing so, she pays homage to her ancestors, family and friends (all the same to her) who are often the helping hands behind her work. This way, everyone involved with seeing her pieces to fruition is credited with the family name Castillo on wall labels, catalogs, and press releases. She attended California State University at Fullerton, graduating in 1993 with a bachelor’s degree in Art Education. She later earned a Master of Fine Arts from Claremont Graduate University in sculpture. ADRIENNE DEVINE, Visual Artist, www.AdrienneDeVine.com. Adrienne DeVine is a mixed media artist whose work incorporates drawing, painting, woodburning, printmaking, photography, collage, and assemblage. She also has an affinity for ceramics, textile weaving and surface design. Her independent research on African cosmologies, philosophies, graphic symbols, and writing systems fuels her intellectual curiosity and informs her creative vision. She uses text, symbols, fabric, figurative forms, and abstract imagery, to develop a visual dialogue that is intended to capture and delight the imagination of the viewer. Adrienne’s art is a form of visual communication through which she shares her personal vision, and creatively interprets concepts that she uncovers in her research. Currently, she works part-time as a program development consultant and grant writer. Prior to working in the nonprofit sector, Adrienne worked as a stringer journalist and as a graphic production artist in the printing and publishing trade. She is now pursuing a Master of Fine Arts (MFA) degree in Visual Arts, and a graduate certificate in Africana Studies at Claremont Graduate University. JUNE EDMONDS www.JuneEdmonds.com June Edmonds is a painter and public artist that has shown her work across the country and has completed works of public art. Her public art works include a commission with the MTA Blueline Pacific Station and two commissions with the Department of Cultural Affairs. June has been a recipient of Artist in Residence grants with the Department of Cultural Affairs in Los Angeles and the California Arts Council. June has also done residencies including Skowhegan School of Painting and Sculpture and the Helene Wurlitzer Foundation in Toas, New Mexico. June received an MFA from Tyler School of Art, Bachelors degree from San Diego State University and currently works and resides in Los Angeles. TEKA-LARK FLEMMING, www.BlkGrrrlShow.com, is a journalist, essayist, poet and independent publisher. She is the founder of the Blk Grrrl Book Fair and is the host and producer of the Blk Grrrl Show, a cultural and news web series. She is also the founder and publisher of the newspaper the Morningside Park Chronicle (MPC) and the BrickBat Revue Broadsheet. The MPC is a print newspaper that covers South Central LA and Inglewood and the BrickBat Revue is a broadsheet that covers poetry and art. She is a segment producer on KPFK’s Feminist Magazine. Her writing has appeared in the LA Weekly, Ebony, Counterpunch, Time, LA Streetsblog and Zócalo Public Square. She was formerly the Tracks columnist at LA City Beat. Tracks discussed race, transportation and urban planning. She is a proud alumna of Mount St. Mary’s College, the best little women’s college in the west. She lives in the neighborhood of Morningside Park in Inglewood, California with her cat Fish. NICOLA GOODE, www.NicolaGoode.com, born and raised in Los Angeles received her BFA in fine art photography from Yale University and her MFA in Public Practice from Otis College of Art & Design. For over 20 years she has documented street life and youth culture around the world. A member of the Society of Motion picture Still Photographers and the Cinematographer’s Guild, she works on numerous feature films, television projects and documentaries. Her work has been published in magazines and books and exhibited widely. She collaborated with author Hillary Carlip on the groundbreaking book ‘Girl Power’, published by Time Warner which documented American teen culture. She worked with celebrated writer David Ritz on ‘Messengers’, portraits of African American ministers and gospel singers published by Random House in 2006. She is currently photographing the L.A. transgender community and teaching photo workshops to youth at risk. When she is not elsewhere, Nicola can be found in Venice, California with her husband Sean and son Dylan. VINCENT JOHNSON, www.VincentJohnsonArt.com, received his MFA in Painting from Art Center in Pasadena, CA in 1997 and his BFA in Painting from the School of the Art Institute of Chicago in 1986. He is a 2005 Creative Capital Grantee, and was selected for the New Museum of Contemporary Arts Aldrich Art Award in 2007 and for the Art Matters grant in 2008, and in 2009 for the Foundation for Contemporary Art Fellowship, Los Angeles. In 2010 he was named a United States Artists project artist. His work has been reviewed in ArtForum, The New York Times and the Los Angeles Times, Art in America. Johnson’s work has appeared in numerous venues, including The Studio Museum in Harlem PS1 Museum, New York; the SK Stiftung, Cologne; Santa Monica Museum of Art, LAXART; Las Cienegas Projects, Los Angeles; Boston University Art Museum; Kellogg Museum, Cal Poly Pomona; Adamski Gallery of Contemporary Art, Aachen; Lemonsky Projects, Miami. Palace of the Inquisition, Portugal. Johnson’s work has been published in a dozen exhibition catalogs. Palace of the Inquisition, Evora, Portugal, opening July 15, 2013. He is a work member of THE WINTER OFFICE, Copenhagen. MICHAEL MASSENBURG, www.MichaelMassenburg.com, was born in San Diego and raised in Los Angeles. He received his education from California State University, Long Beach and Otis Art Institute. Through out the years Massenburg has exhibited in galleries and museums, completed private commissions, and worked on public art projects throughout the country and abroad in Mexico, Senegal and Haiti. Some of his public works were created for Metro Farmdale Expo line, LA County Arts Commission, ESPN, American Jazz Museum and most recently The Fabulous Forum in Inglewood California. 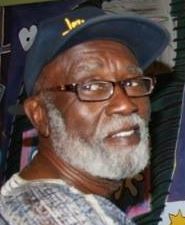 He is the recipient of grants from the Los Angeles Department of Cultural Affairs and the California Arts Council and his work resides in many collections such as California Community Foundation. Active in the community, Michael serves as board president for Inglewood Cultural Arts non-profit as well as an art educator in teaching for various organizations throughout Los Angeles County. GREG PITTS www.BlackArtInAmerica.com/profile/GregPitts. Greg Pitt’s career as a sculptor began in 1971, producing site-specific installations, that have been exhibited in over 40 group and 12 solo exhibitions; including the California African-American Museum, The Museum of African- American Art, The Studio Museum in Harlem, Side Streets Projects , Roberts and Tilton Gallery, Los Angeles County Museum of Art and other museums and galleries. In 1973 , he co-founded Art Education Consultant Services (AECS), consisting of artists and art professionals that produced art and historical exhibitions. In 1975, (AECS) opened Pearl C. Wood Gallery in Los Angeles. Greg holds a B.A. Degree from Cal State University at Long Beach in 1974 and a M.F.A. Degree in 1981 from Otis Art Institute. He’s been a freelance critic since 1977, as art editor for Travel & Art Magazine 1977-79, co-editor Witness (art news- letter) , staff writer for Be-Bop and Beyond Jazz magazine. 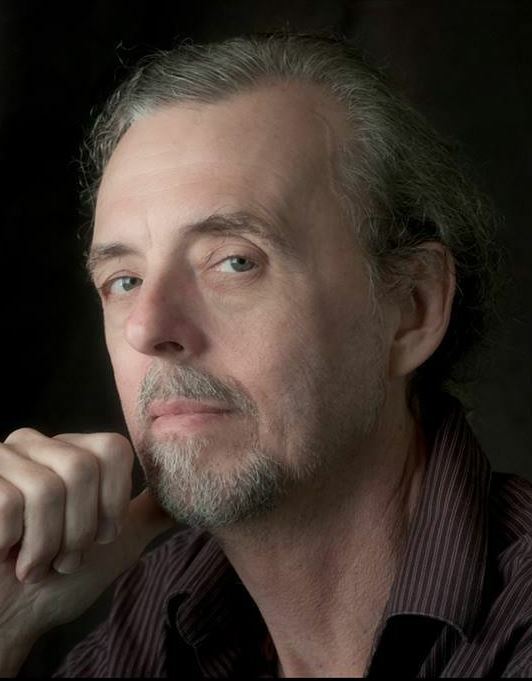 Greg has also written for Artvoices , Artweek , and Artillery Magazines. BRENDA G. WILLIAMS, www.addobbo.tumblr.com/bio, is a local art consultant and independent curator specializing in emerging contemporary artists. She also leads an art group that visits galleries, museums and artists’ studios as well as collectors to discuss contemporary artwork in Los Angeles. Williams began her art career in Italy selling works on paper at Galleria Bonomo, before returning to the states to manage the Eyes Gallery in Philadelphia. Later, she moved to New York City to work with a set designer on the movie Boomerang and after, began working at Sarajo where as a sales consultant she sold tribal art and textiles, as well as furniture and accessories, from Africa, South America, Mexico, Asia and India. Brenda moved to Los Angeles in the early 2000’s and landed a job at the Getty Center where she immersed herself in Los Angeles contemporary art. Around 2007 Brenda began taking art collecting classes with Edward Goldman and working on various independent art projects. She attended Clark Atlanta University where she majored in communications. Brenda currently works at UCLA in the department of Design|Media Arts and also has a blog called ADDOBBO, featuring images of contemporary artwork that she finds interesting and collectible. In 2014, she curated her first LA exhibition Cross Fade, at Walter Maciel Gallery in Culver City. Brenda is currently the art consultant for the Office of Intellectual Property at UCLA.